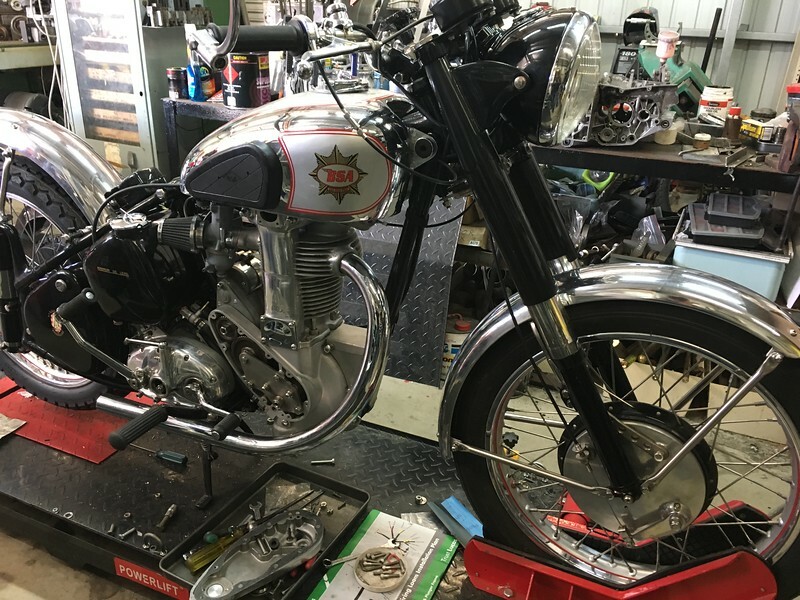 Andy’s BSA Gold Star nearing completion. 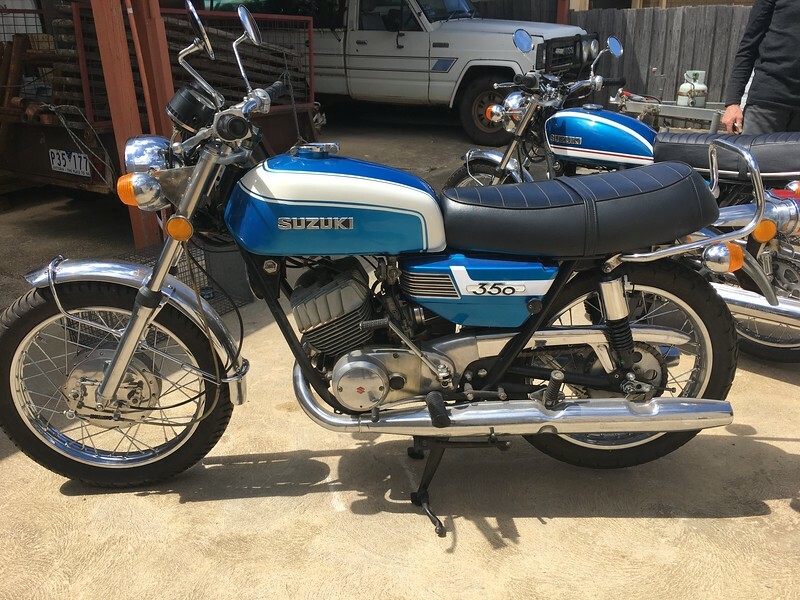 Above – some of Andy’s restored Suzuki 2 strokes. Below – one of TK’s Scott Flying Squirrels. 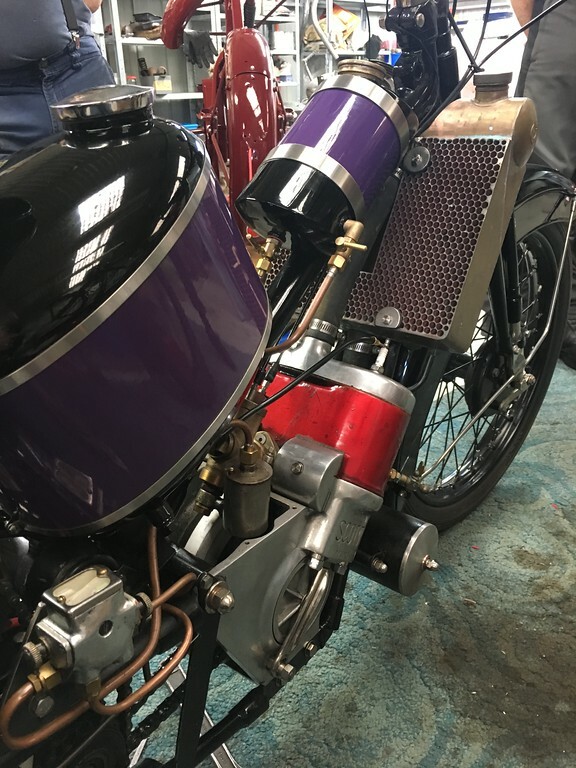 This is a 1927 model – he also has a mint 1930 and several other bikes under restoration. 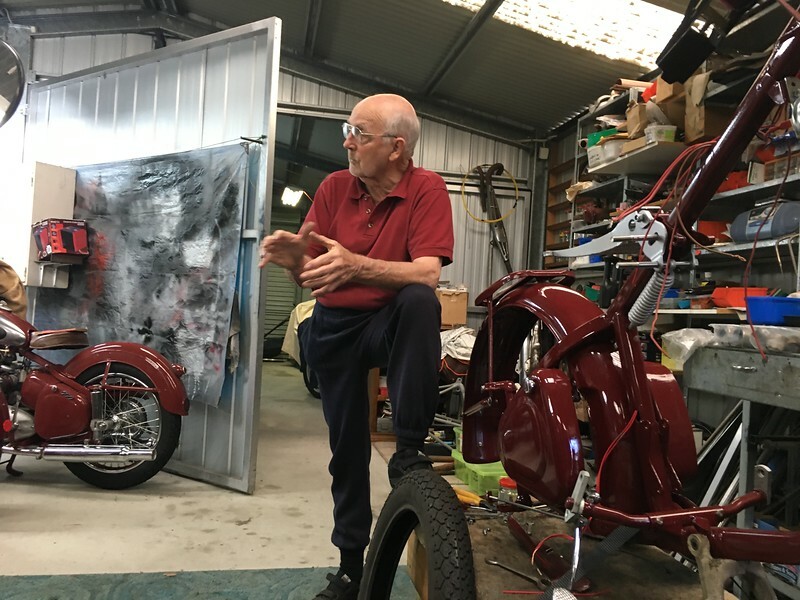 My boyhood hero & mentor – still offering sage advice! 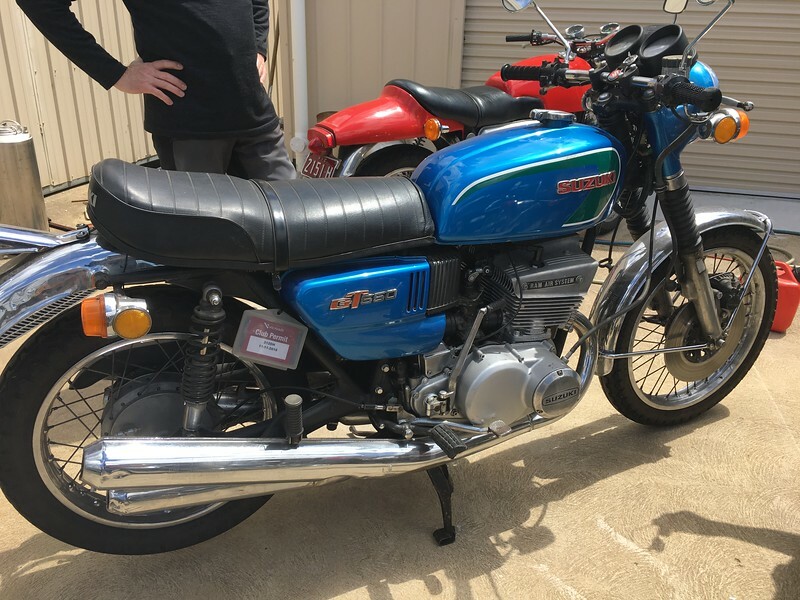 What a grand day! 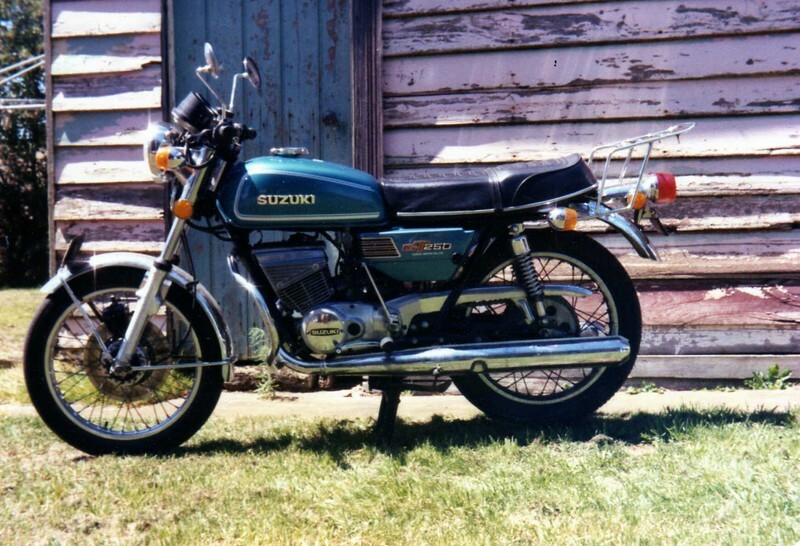 And on the topic of Suzi 2 strokes – here’s an archive pic of Dorothy’s Suzuki GT250, circa 1977.